When I heard those rumors about The Killers going on hiatus, I was of course bummed. Bummed that is until I heard other rumors about front man Brandon Flowers going solo. 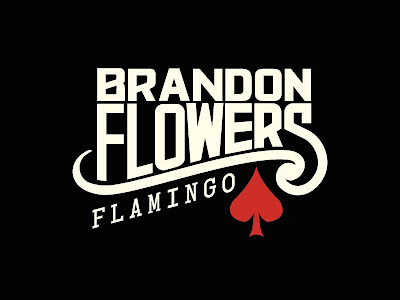 The Killers website had a placeholder page up for a little while slowly unveiling details of Flowers' debut album, Flamingo (due out in September via Island Records) and now first single, "Crossfire" (artwork above). The single is released digitally on June 29th and on 10" Vinyl on July 13th. The single isn't actually all that different than a Killers single...which of course is not a bad thing. Maybe part of me was hoping Flowers would do a complete 180, turning out some sort of a Adam Lambert/electro-pop direction. Adam Lambert, "Crossfire" is most certainly NOT but it's a quality song and given the Killers remix-friendly music, I have high hopes for some cool electro/dance re-fixes. 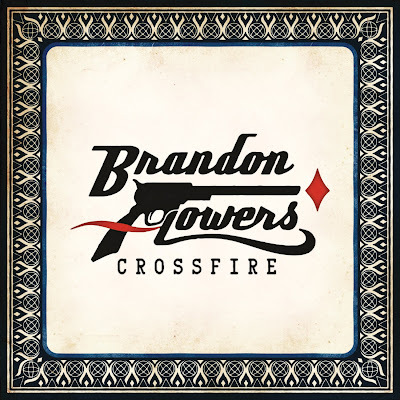 Listen to Flowers' single on his official website OR right HERE on the Rock On The Streets blog. What do you all think of the song?